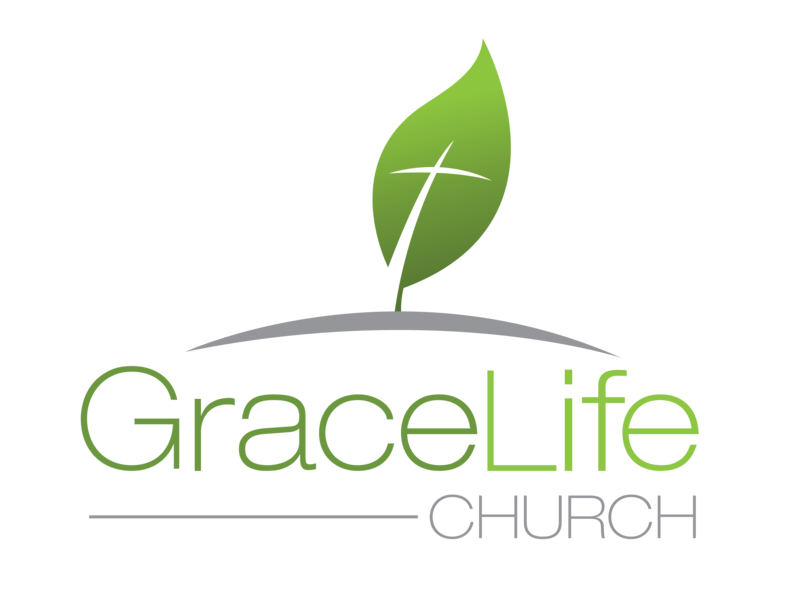 The name of this Religious Society is “GraceLife Church of Edmonton”, an Alberta nonprofit Religious Society with its principal offices in Edmonton, Alberta, Canada. This Religious Society may also be called or known as “GraceLife Church” without detracting from its actual incorporated name. This Religious Society is organized for exclusively religious purposes (including charitable and benevolent purposes common to a pastoral church ministry as defined by Scripture). Our commission is summarized as follows: “And Jesus came up and spoke to them, saying, ‘All authority has been given to Me in heaven and on earth. Go therefore and make disciples of all the nations, baptizing them in the name of the Father and the Son and the Holy Spirit, teaching them to observe all that I commanded you; and lo, I am with you always, even to the end of the age’” (Matthew 28:18-20). The statement of faith of this Religious Society is that which is attached to its Declaration of Incorporation as filed with the Corporate Registry Office of the Alberta Registries, Edmonton, Alberta. This Religious Society shall have no members. Any action which would otherwise require approval by a majority of all members shall only require approval of the Board of Elders. All rights which would otherwise vest in the members shall vest in the Board of Elders. Nothing contained in Section 1 of this Article shall be construed to limit the right of the Religious Society to refer to persons associated with the Religious Society as ‘members’ even though such persons are not corporate members, and no such reference in or outside of these Bylaws shall constitute anyone being a member, within the meaning of Section 1(c) of the Religious Societies’ Land Act. The Religious Society may confer by amendment of its Articles or of these Bylaws some or all of the rights of a member, as set forth in the Religious Societies’ Land Act, upon any person or persons who do not have the right to vote for the election of officers or on a disposition of substantially all of the assets of the Religious Society or on a merger or on a dissolution or on changes to the Religious Society’s Articles or Bylaws, but no such person shall be a member within the meaning of said Section 1(c). Active membership in the GraceLife Church of Edmonton shall be open to all persons who confess Christ as their Lord and Savior and who have been baptized by immersion. Membership in this church shall not vest in any member any proprietary rights in the Religious Society, but shall only entitle the member to vote at a meeting of the members on those matters that the Board of Elders chooses to submit to the church membership for affirmation. In such cases, voting privileges are restricted to members who are in good standing, who are not under any disciplinary action, and who have passed their sixteenth (16) birthday. Membership shall not be assignable between living persons by any member nor shall membership vest to any personal representative, heir, or bequeathed to another. All requests for membership shall be made to a Pastor, Elder, or Deacon. Upon making such a request, the person shall be given an application for membership, along with a copy of the Statement of Faith and a copy of the Bylaws. A Pastor, Elder, or Deacon shall meet with the applicant following receipt of the application. Each applicant shall assent to the Statement of Faith, subscribe to the Bylaws, and shall testify publicly before a duly appointed Committee of the Board, per Article VI, Section 17 of these Bylaws, at a regularly held meeting for prospective members. Applicants admitted to membership shall, if possible, present themselves at a worship service designated by the Pastor-Teacher and Board of Elders, at which service such applicants shall publicly affirm their membership commitment and be publicly acknowledged as members.Section 7. Responsibilities of Members Members shall seek to exercise their spiritual gifts for the mutual benefit of all the church body and shall submit to the loving rule of the Elders. (b) Members of this church and all other professing Christians who regularly attend or fellowship with this church who err in doctrine, or who engage in conduct that violates Scripture as determined by the Board of Elders, shall be subject to church discipline, including dismissal according to Matthew 18:15- 18. Before such dismissal, however (1) it shall be the duty of any member of this church who has knowledge of the erring individual’s heresy or misconduct to warn and correct such erring individual in private, seeking his or her repentance and restoration. If the erring individual does not heed this warning, then (2) the warning member shall again go to the erring individual, seeking his or her repentance, but accompanied by one or two individuals who shall confirm that the sin has occurred or is continuing to occur, and/or that the erring individual has been appropriately confronted and has refused to repent. The first and second warnings may occur with no specified time interval. If the erring individual still refuses to heed this warning, then (3) it shall be brought to the attention of the Board of Elders (or a duly appointed Committee of the Board, per Article VI, Section 17 of these Bylaws, at the sole discretion of the Board). If the Board of Elders (or a duly appointed Committee of the Board, per Article VI, Section 17 of these Bylaws, at the sole discretion of the Board) determines— after thorough investigation in accord with the procedures prescribed by pertinent Scripture, including Matthew 18:15-18 and 1 Timothy 5:19—that there is corroborating evidence that the erring individual has sinned or is continuing to sin, that he or she has been appropriately confronted, and that he or she has refused to repent, then the Elders shall inform the church and the congregation thereof at a regularly scheduled worship service in order that the church may call the erring individual to repentance. If the erring individual demonstrates repentance, then notice to that effect may be given at a regularly scheduled worship service. If, however, the erring individual does not repent in response to the church in its collective call to repentance, then (4) he or she shall be publicly dismissed from the fellowship and/or membership of the church and the congregation thereof at a regularly scheduled worship service. If the erring individual, after such dismissal, heeds the warning, demonstrates repentance, and requests reinstatement before the Board of Elders (or a duly appointed Committee of the Board, per Article VI, Section 17 of these Bylaws, at the sole discretion of the Board), then he or she shall be publicly restored to all the rights, duties, privileges, and responsibilities of fellowship and/or membership. (d) The members of this church, and all other professing Christians who regularly attend or fellowship with this church, agree that there shall be no appeal to any court because of the dismissal or because of public statements to the congregation at the third or fourth stages of church discipline. Members who are under discipline by the church, as defined in the previous paragraphs, forfeit and waive the right to resign from this church. Resignations from membership are possible only by members who are in good standing and who are not under any disciplinary action. (e) Separate and apart from the process of church discipline, but subject to the discretion and approval of the elders (or a duly constituted subcommittee thereof), a member, non-member regular attendee, or other individual may be notified that he or she is not to be present upon church premises or any other designated place of meeting for such a period of time as is deemed necessary for the safety and well-being of others on church premises. Such required absence may, but need not, be concurrent with church discipline of that person. (f) Separate and apart from the process of church discipline, but subject to the discretion and approval of the elders (or a duly constituted subcommittee thereof), the names of any members who have not attended a worship service, Sunday School class session or Fellowship Group meeting at GraceLife Church for a period of six months or longer may be removed from the membership rolls. A regular annual meeting of the church members shall be held at the principal office of the church (as the same shall be from time to time designated in the minutes of the Board) in January of each year. At such regular annual meeting, the members shall consider reports of the affairs of the Religious Society, and transact such other business as the Elders determine shall be brought before the meeting, including but not limited to affirmation of the appointments made by the Elders of those who shall serve as Elders for the ensuing year and the election of those qualified in the offices of Deacons, Deaconesses, and Ushers. Special meetings of the members may be called at any time by order of the Pastor-Teacher, the Chairman or Vice-Chairman of the Board of Elders, or by a quorum of the members of the Board of Elders. Notice of regular meetings shall be given from the pulpit by the Pastor for two successive Sundays prior to the meeting. In addition thereto, notice shall be published in the regular church bulletin for two successive Sundays prior to such meeting. Notice of special meetings shall be given from the pulpit at least seven (7) days prior to the meeting and shall also be published in the regular church bulletin on the Sunday immediately preceding the meeting. At all meetings of the members, whether regular, special or adjourned, the members present shall constitute a quorum for the transaction of business. Those admitted to church membership do not constitute a legislative body, nor do they constitute members of the Religious Society, and they cannot vote, pass resolutions binding upon the Religious Society, nor shall they have any equity in the real property of the Religious Society, or rights to vote on its disposal. Said property of the Religious Society is dedicated to religious and charitable purposes as outlined in the Declaration of Incorporation. (a) To select and remove all the officers, agents, pastors, staff, and employees of the Religious Society; prescribe such duties for them consistent with the Scriptures, with law, with the Declaration of Incorporation, or with these Bylaws; and fix the terms of their offices and their compensation. (b) To make such disbursements from the funds and properties of the Religious Society as are required to fulfill the purposes of this Religious Society as are more fully set out in the Declaration of Incorporation, thereof and generally to conduct, manage, and control the activities and affairs of the Religious Society and to make such rules and regulations consistent with the Scriptures, with law, with the Declaration of Incorporation, or with these Bylaws, as they may deem best. (d) To establish policies and practices for the church consistent with the purposes of this Religious Society. (e) To assist the Pastor-Teacher in the administration of the ordinances of baptism and Communion. (f) To borrow money and incur indebtedness for the purposes of the Religious Society and to cause to be executed and delivered, in the corporate name, promissory notes, bonds, debentures, deeds of trust, mortgages, pledges, hypothecations, or other evidences of debt and securities. In accordance with the provisions of the Declaration of Incorporation, the authorized number of directors of the Religious Society shall not be less than three (3) until changed by an amendment to the Declaration of Incorporation or by an amendment to these Bylaws. Recommendations to fill the office of Elder shall be requested once a year from all church members. A nominating committee consisting of not less than two members of the Board of Elders shall be appointed by the Board of Elders, who will also designate a chairman of the committee. This committee shall review all nominations and determine each nominee’s qualifications. A proposed slate of nominees prepared by the nominating committee shall then be submitted to the Board of Elders, along with any relevant comments. The Board shall then approve, disapprove, or add to the list of nominees. The secretary shall publicly post the nominees approved by the Elders in alphabetical order at least three weeks prior to the annual meeting of the church members. At this meeting, the slate of nominees shall be presented to the members to affirm the decision of the Elders. If the slate of nominees is affirmed, the newly elected Elders shall assume office immediately. Each Elder shall serve until the next annual meeting. Subject to the provision of the Declaration of Incorporation, any Elder may resign effective upon giving written notice to the Chairman of the Board or the Secretary of the Board, unless the notice specifies a later time for the effectiveness of such resignation. If the resignation is to take effect at some future time, a successor may be selected before that time.A vacancy or vacancies in the Board shall be deemed to exist in case of the death, resignation, or removal of any Elder, or if a need exists and the specified limit is not exceeded. No reduction of the authorized number of Elders shall have the effect of removing any Elder prior to the expiration of the Elder’s term of office. Any Elder may be removed from office at any regular or special meeting of the Board if he is found to be physically or mentally incapacitated or spiritually unqualified (according to pertinent Scripture, including 1 Timothy 3:1-7 and Titus 1:5-9), after thorough corroborating investigation by the Elders (or a duly appointed Committee of the Board, per Article VI, Section 17 of these Bylaws, at the sole discretion of the Board), in accord with the procedures prescribed by pertinent Scripture, including Matthew 18:15-18 and 1 Timothy 5:19. When an Elder is removed because of sin that is deemed sufficient to disqualify him from shepherding, and if he refuses to repent from that sin, the removal shall be accompanied by a public rebuke, and notice shall be made before the church and the congregation thereof at a regularly-scheduled worship service as prescribed in1 Timothy 5:20. Notwithstanding anything to the contrary provided in these Bylaws, any meeting (whether regular, special, or adjourned) of the Board of Elders of the Religious Society may be held at any place within or without the Province of Alberta. Regular meetings of the Board shall be held without call or notice on the second Saturday after the first Sunday of each month, unless otherwise modified by the Board. Regular meetings shall be open to church members. Special meetings of the Board of Elders may be called at any time by order of the Chairman or Vice- Chairman or the Secretary of the Board of Elders or by a quorum of the members of the Board of Elders. Special meetings of the Board shall only be held upon adequate notice with no less than forty-eighthour notice given personally or by telephone or other similar means of communication. Any such notice shall be addressed or delivered to each Elder or at such Elder’s recorded address. Except as otherwise provided herein, a majority of the Elders currently serving shall constitute a quorum except when a vacancy or vacancies prevents such majority, whereupon a majority of the Elders in office shall constitute a quorum, provided such majority shall constitute either one-third of the authorized number of Elders or at least two Elders, whichever is larger, or unless the authorized number of Elders is only one. A majority of the Elders present, whether or not a quorum is present, may adjourn any meeting to another time and place. Whenever the matter to be considered concerns calling or dismissing a pastor, or buying or selling real estate, a quorum shall consist of not less than two-thirds of the members of the Board. Whenever the matter to be considered is of a nature to require action by Lay Elders only, a majority of the Lay Elders currently serving shall constitute a quorum. Except as the Articles of Incorporation, these Bylaws may provide, the act or decision done or made by the Elders present at a meeting duly held at which a quorum is present shall be the act of the Board of Elders. A majority of the Elders present, whether or not a quorum is present, may adjourn any Elders’ meeting to another time and place. Notice of the time and place of holding an adjourned meeting need not be given to absent Elders if the time and place be fixed at the meeting adjourned, except as provided in the next sentence. If the meeting is adjourned for more than forty-eight (48) hours, notice of any adjournment to another time or place shall be given prior to the time of the adjourned meeting to the Elders who were not present at the time of the adjournment. Every Elder shall have the absolute right at any reasonable time to inspect a copy of all books, records, and documents of every kind and to inspect the physical properties of the Religious Society of which such person is an Elder, for a purpose reasonably related to such person’s interest as an Elder. (a) The approval of any action for which the Religious Societies’ Land Act also requires member’s approval (must be approved by the Board as a whole). Elders may or may not receive any stated or fixed salary for their services. Salaries, remuneration and/or any other form of compensation for any given elder will rest solely at the discretion of the Board of Elders; however, any person receiving compensation directly or indirectly from GraceLife Church shall not be in a position to determine the nature or amount of said compensation. Those Elders not receiving a fixed salary shall be referred to as Lay Elders. (b) To provide a wider base of counsel to the Elders having the oversight of specific ministries. All councils and committees shall exist for the period specified by the Board. The Deacons shall consist of members possessing the qualifications described in1 Timothy 3:8-13 and shall be nominated by members of the church. The Board of Elders will compile and confirm the nominations and submit the names to the members for affirmation at the annual meeting. The Deacons shall serve for a term of one (1) year. The Deacons shall assist the Elders in the shepherding of the saints, assist the Pastor at Communion and baptismal services, aid in the general spiritual care of the church, and perform other duties as assigned by the Board of Elders. A Deacon shall be a man of dignity, not double-tongued, not addicted to much wine, not fond of sordid gain, holding to the mystery of the faith with a clear conscience, first tested and found above reproach. The Deaconesses shall consist of members possessing the qualifications described in1 Timothy 3:11 and Titus 2:3-5 and shall be nominated by members of the church. The Board of Elders will compile and confirm the nominations and submit the names to the members for affirmation at the annual meeting. The Deaconesses shall serve for a term of one (1) year. They shall prepare the Communion elements, assist the Pastor at baptismal services and in the general spiritual care of the church, and shall assist in the care of the sick and needy. A Deaconess shall be dignified, not a malicious gossip, temperate, and faithful in all things. The Ushers shall consist of members to be nominated by members of the church. The Board of Elders will compile and confirm the nominations and submit the names to the members for affirmation at the annual meeting. The Ushers shall serve for a term of one (1) year. They shall act as church ushers, greeters at the door, church collectors, and assist the Pastor in the services in such matters as he deems necessary. An Usher shall meet the qualifications enumerated for a Deacon in Section 2 above. The nomination and selection of Deacons, Deaconesses, and Ushers shall be done in the same manner as for Elders, as set forth in Article VI, Section 3 of these Bylaws, except they shall be affirmed at the annual meeting by the members of the church. In the event any of the above-mentioned offices becomes vacant during the period between annual elections, the Board of Elders may fill such vacancy for the unexpired term. The officers of the Religious Society shall be a Chairman, a Vice-Chairman, a Secretary, and a Treasurer. The Religious Society may also have, at the discretion of the Board of Elders, other officers as may be appointed in accordance with the provisions of Section 3 of this article. As required and deemed necessary by the Board of Elders, any one duly designated elder may fulfill the role and function of more than one official officer. The officers of the Religious Society, except such officers as may be appointed in accordance with the provisions of Section 3 or Section 5 of this Article, shall be chosen annually by, and shall serve at, the pleasure of the Board of Elders. Each officer shall hold his office until he shall resign, be removed, or become otherwise disqualified to serve, or until his successor shall be elected and qualified. The Board of Elders may appoint, and may empower the Chairman to appoint, such other officers as the business of the Religious Society may require, each of whom shall hold office for such period, have such authority, and perform such duties as are provided in the Bylaws or as the Board of Elders may from time to time determine. Any officer may be removed upon disqualification and removal as an Elder per Article VI, Section 6 of these Bylaws. Any officer may resign at any time without prejudice to the rights, if any, of the Religious Society under any contract to which the officer is a party, by giving written notice to the Board of Elders, or to the Chairman, or to the Secretary of the Religious Society. Any such resignation shall take effect at the date of the receipt of such notice or at any later time specified therein; and, unless otherwise specified therein, the acceptance of such resignation shall not be necessary to make it effective. In the case of absence or inability to act of any officer of the Religious Society and of any person herein authorized to act in his place, the Board of Elders may from time to time delegate the powers or duties of such officer to any other officer or other person whom the Board may select. The Chairman shall be the Chief Executive Officer of the Religious Society and shall, subject to the control of the Board of Elders, have general supervision, direction, and control of the activities and officers of the Religious Society. He shall preside at all meetings of the Board of Elders, which are to be conducted according to the scriptural principles such as set forth in Philippians 2:2-8. He shall be an ex officio member of all the standing committees, if any, and shall have powers and duties as may be prescribed by the Board of Elders or the Bylaws. In the absence or disability of the Chairman, the Vice-Chairman shall perform all the duties of the Chairman, and when so acting shall have all the powers of, and be subject to all the restrictions upon, the Chairman. The Vice-Chairman shall have such other powers and perform such other duties as from time to time may be prescribed for him by the Board of Elders or the Bylaws. The Secretary shall keep, or cause to be kept, a book of minutes at the principal office or such other place as the Board of Elders may order, of all meetings of the members, the Board and its committees, with the time and place of holding, whether regular or special, and if special, how authorized, the notice thereof given, the names of those present at the meetings, the Board and committees’ meetings, and the proceedings thereof. The Secretary shall keep, or cause to be kept, at the principal office in the Province of Alberta the original and a copy of the Religious Society’s Declaration of Incorporation and Bylaws, as amended to date. The Secretary shall give, or cause to be given, notice of all meetings of the Board and any committees thereof required by these Bylaws or by law to be given, shall keep the seal of the Religious Society in safe custody, and shall have such other powers and perform such other duties as prescribed by the Board. The Secretary shall keep, or cause to be kept at the principal office of the Religious Society, a church membership register, or a duplicated membership register, showing the names of the members and their addresses. The Treasurer shall ensure the stewardship of the physical and financial resources of the Religious Society, “taking precaution that no one should discredit us in our administration… for we have regard for what is honorable, not only in the sight of the Lord, but also in the sight of men” (2 Corinthians 8:20-21). He shall select “men of good reputation, full of the Spirit and of wisdom” (Acts 6:3) to implement and accomplish this responsibility. The Treasurer shall keep and maintain, or cause to be kept and maintained, adequate and correct accounts of the properties and business transactions of the Religious Society. The books of account shall at all reasonable times be open to inspection by any Elder for a purpose reasonably related to such person’s interest as an Elder. The Treasurer shall deposit, or cause to be deposited, all monies and other valuables in the name and to the credit of the Religious Society with such depositories as may be designated by the Board of Elders. He shall disburse, or cause to be disbursed, the funds of the Religious Society as may be ordered by the Board of Elders, shall render, or cause to be rendered, to the Chairman and the Elders, whenever they request it, an account of all the transactions and of the financial condition of the Religious Society, and shall have such other powers and perform such other duties as may be prescribed by the Board of Elders. He shall make, or cause to be made, the financial reports at each regular Board meeting and at the annual meeting of members. The license is issued by the Board of Elders and is given in recognition of a man’s call to that ministry. Its aim is to allow a man to perform the ecclesiastical duties and functions of the church. Licenses will be evaluated and issued on a yearly basis. When local-church certification is required for ministry where ordination would be unnecessary or inappropriate, a person is commissioned by the Board of Elders to minister. This authorization continues as long as the opportunity to minister remains in effect and as long as the person maintains the qualifications for ministry. The Pastor-Teacher shall be selected by the Board and confirmed by the members of the church at its annual meeting or at a special business meeting, and such confirmation shall be a three-fourths (¾) majority of all the votes cast. He shall remain in office an indefinite period of time subject to the following reservations: The Elders reserve the right to dismiss the Pastor-Teacher upon giving him one month’s written notice of its intention to dismiss. The Pastor-Teacher must give one month’s notice if he intends to resign. The time limit of a Pastor-Teacher’s resignation or dismissal is subject to a lesser time if both the Pastor-Teacher and the church by mutual agreement provide otherwise. The Pastor-Teacher shall be an ex officio member of all councils and committees, and he shall be responsible to the Board of Elders. The Pastor-Teacher shall arrange for and conduct all public and regular services of the church and shall be responsible for general oversight of the spiritual welfare of the church. In the absence of the Pastor-Teacher, the Board of Elders (or a duly appointed Committee of the Board, per Article VI, Section 17 of these Bylaws, at the sole discretion of the Board), shall be responsible to arrange for the public and regular services of the church. In any dispute arising between church members, pastors, or staff pertaining to any matter of spiritual teaching or practices, church finances, or title to property purchased with church contributions, the dispute shall be resolved by the Board of Elders of the church (or a duly appointed Committee of the Board, per Article VI, Section 17 of these Bylaws, at the sole discretion of the Board). A decision shall be reached after prayerful consideration, in a spirit of humility, with each Elder regarding one another before himself and striving to preserve the unity of the Spirit in the bond of peace (Ephesians 4:1-3). The Board of Elders, except as in the Bylaws otherwise provided, may authorize any officer or officers, agent or agents, to enter into any contract or execute any instrument in the name of and on behalf of the Religious Society. Such authority may be general or confined to specific instances. Unless so authorized by the Board of Elders, no officer, agent or employee shall have any power or authority to bind the Religious Society by any contract or agreement, or to pledge its credit, or to render it liable for any purpose or to any amount. Subject to the provisions of applicable law, any note, mortgage, evidence of indebtedness, contract, conveyance, or other instrument in writing and any assignment or endorsement thereof executed or entered into between this Religious Society and any other person, when signed jointly by the Chairman or Vice- Chairman, and the Secretary and the Treasurer of this Religious Society shall be valid and binding on this Religious Society in the absence of actual knowledge on the part of the other person that the signing officers had no authority to execute the same. The Chairman or any other officer or officers authorized by the Board are each authorized to vote, represent, and exercise on behalf of the Religious Society all rights incident to any and all shares of any other Religious Society or Religious Societies standing in the name of the Religious Society. The authority herein granted may be exercised either by any such officer in person or by any other person authorized to do so in proxy or power of attorney duly executed by said officer. Unless the context otherwise requires, the general provisions, rules of construction and definitions contained in the general provisions of the Religious Societies’ Land Act shall govern the construction of these Bylaws. Whenever an amendment or new Bylaw is adopted, it shall be copied in the book of minutes with the original Bylaws, in the appropriate place. If any Bylaw is repealed, the fact of repeal with the date of the meeting at which the repeal was enacted or written assent was filed shall be stated in said book. In addition, any requirements stipulated by the Religious Societies’ Land Act pertaining to the recording of such amendments will be adhered to. The Religious Society shall receive all monies or other properties transferred to it for the purposes for which the Religious Society was formed (as shown by the Declaration of Incorporation and these Bylaws). However, nothing contained herein shall require the Board of Elders to accept or receive any money or property of any kind if it shall determine in its discretion that receipt of such money or property is contrary to the expressed purposes of the Religious Society as shown by said Bylaws or Declaration of Incorporation. The Religious Society shall hold, manage, and disburse any funds or properties received by it from any source in a manner that is consistent with the expressed purposes of this Religious Society. The Religious Society shall maintain adequate and correct accounts, books, and records of its business and properties. All such books, records, and accounts shall be kept at its principal place of business in the Province of Alberta, as fixed by the Board of Elders from time to time. Every Elder shall have the absolute right at any reasonable time to inspect all books, records, documents of every kind, and the physical properties of the Religious Society, and also of its subsidiary organizations, if any. The fiscal year of the Religious Society shall begin on the first day of April and end on the last day of March in each year. Upon dissolution of this Religious Society, the Board of Elders shall cause the assets herein to be distributed to another Religious Society with purposes similar to that identified in Article II of these Bylaws and the Declaration of Incorporation as amended. All cheques, drafts, demands for money and notes of the Religious Society and all written contracts of the Religious Society shall be signed by such officer or officers, agent or agents, as the Board of Elders may from time to time by resolution designate. The Board of Elders shall appoint, as deemed necessary by the Board, a pension and retirement review committee consisting of three or more members, and their findings shall be presented, whenever requested, to the Board of Elders. I, the undersigned, being the Secretary of the GraceLife Church of Edmonton, do hereby certify that the above Bylaws were adopted as the Bylaws hereof on the 26th day of October, 2005, by the Board of Elders of said Religious Society in a regularly called meeting on the same date, to wit, the 26th day of October, 2005. I do further certify that the above Bylaws were adopted as the Bylaws hereof on the 26th day of October, 2005, by the members of the church in a regularly called meeting on the same date, to wit, the 26th day of October, 2005. Said Bylaws are, as of the date of the certification, the duly adopted and existing Bylaws of this Religious Society. In witness whereof, I have hereunto set my hand this 26th day of October, 2005. 1 Reflective of a historic position on church discipline as demonstrated by the Institutes of the Christian Religion (1559 ed. ), Book IV, Chap. XII, pp. 454-457.